It’s never too late to make a change that will bring in more business. One of the changes a lot of agents consider making is starting a newsletter; however, creating a newsletter takes time and commitment to consistently send out—time and commitment you may not be able to dedicate to a newsletter right now. Luckily, Homes.com is now offering a free monthly newsletter. We’ll write fresh content and load it into the Email Marketing Center each month. All you have to do is select who you want to send your newsletter to. You can then choose to automatically send the newsletter each month, thereby eliminating the time it takes to manage a newsletter. If this isn’t reason enough for you to start a newsletter, check out these five reasons to make 2018 the year you automate your newsletter send. 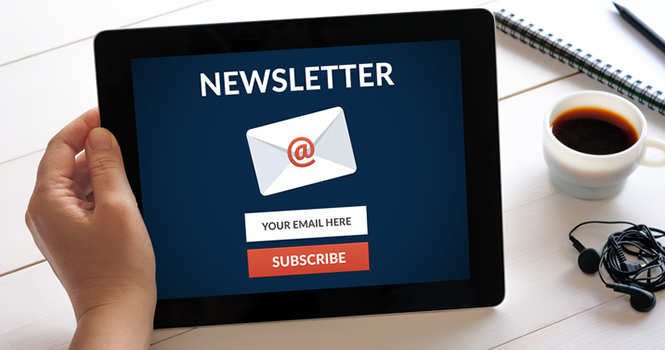 There are a lot of good reasons to start a newsletter, but lead generation is one of the best. The key to getting referral leads is keeping in touch with your past clients. Newsletters help you do that. They are a great way to stay in touch with prospects, leads, and past clients so that when someone they know mentions needing a good agent, your contacts will think of you. Advertising is a useful, cost-effective way to find new leads. It’s not, however, the best way to stay in touch with your existing database. A newsletter, on the other hand, is an effective way to reach existing leads with little or no expense. A regular update with links back to your site is a great way to spread the word about the various tools and resources you have to offer. Once people know about these resources, they’re more likely to visit your website to search for homes and download those resources you’ve uploaded. You can bolster your credibility and earn a position as the neighborhood expert when you consistently send out quality information that potential buyers and sellers find useful and interesting. Your contacts also benefit from your newsletter. In an age where most people are inundated with junk mail email, it can be a relief to have an email you actually look forward to. For your contacts, tips, news or advice on buying or selling a home will be entertaining and informative, and help your contacts reach their goals. With so many great reasons to start a newsletter, it’s just a bonus that Homes.com is offering newsletter services for free. Just sign in or sign up to activate the newsletter in your Homes.com account today! For help turning on your newsletter, call us at (866) 774-2947 or email us any questions at support@homes.com.